Summer Jobs – Opportunities Abound to Work Poolside in Las Vegas! – TAM Card® Nation in Vegas! Summer Jobs – Opportunities Abound to Work Poolside in Las Vegas! Ever dream of working in a position where you can enjoy the summer sunshine, listen to music from excellent DJs, and net great tips at one of the area’s most popular venues? It’s that time of year again, and the hottest spots around town are hiring for a variety of summer positions at their pools and bars. Whether you’re looking for work as a cocktail server, bartender, host, or a variety of other hospitality-based positions, these brisk winter months are the best time to prepare for auditions and interviews. Las Vegas Weekly released an informative article, “Tips for Landing a Job on a Las Vegas Pool Deck,” with great advice for landing a summer job poolside, as well as a detailed list of who’s hiring, and what you’ll need to do to apply. 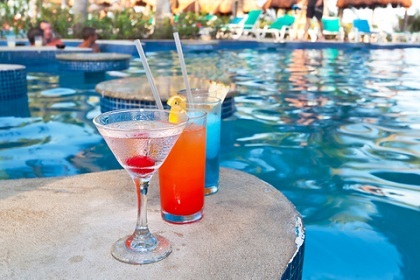 What advice would you give others about serving poolside?